A trailer for Guy Ritchie’s new film, King Arthur: Legend of the Sword was released today at Comic-Con and it looks fantastic. From the onset of the trailer, you’ll notice the film has Guy Ritchie’s signature style all over it. His edgy style seems to have translated over perfectly to this fantasy-adventure film, with amazing visuals that include gothic elements. It also appears this film will be a fun ride and not take itself too seriously, which has been a feature through most of Ritchie’s films over the years, including the big budget ones such as the Sherlock Holmes films and most recently, The Man from U.N.C.L.E. The film stars Charlie Hunnam as the reluctant hero King Arthur and the story follows the classic tale of the sword in the stone. Supporting him are actors Jude Law, Annabelle Wallis, Aiden Gillan, Djimon Hounsou and Eric Bana. It’s a great cast and it’s especially nice to see Aussie Eric Bana in the mix. 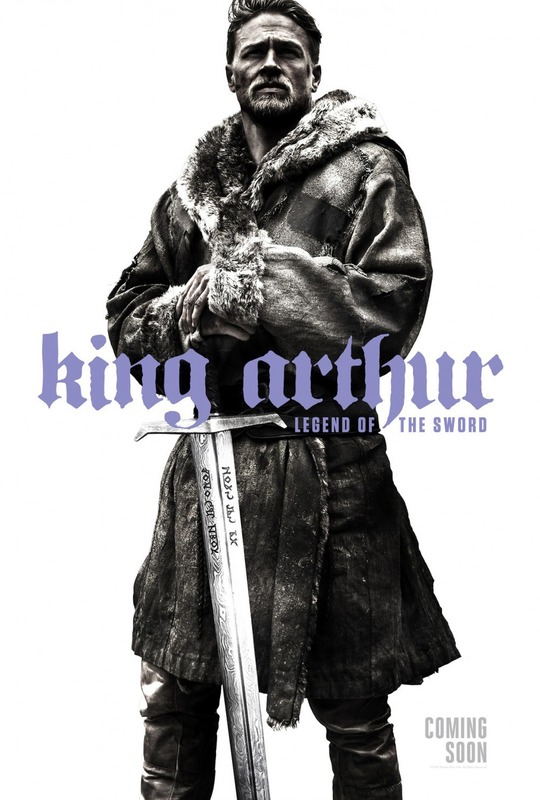 King Arthur: Legend of the Sword is due for release in March 2017, check out the trailer and teaser poster for the film below. Feature film version of the classic King Arthur story. ‘King Arthur: Legend of the Sword’ – New Trailer! ‘Bumblebee’ Review: A Roof-Down, Pedal to the Metal Joy-Ride!